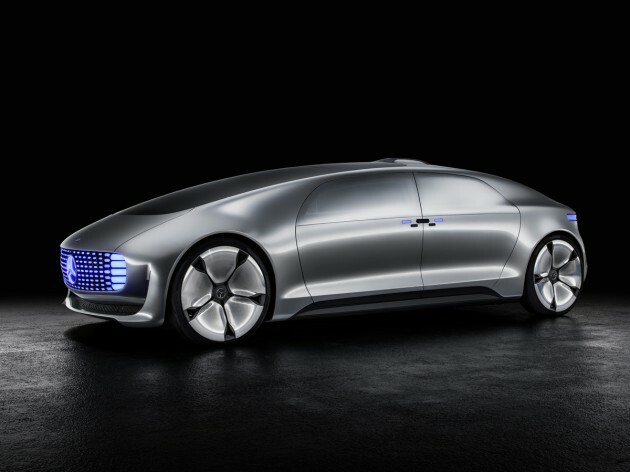 This week, Mercedes-Benz used the Consumer Electronics Show in Las Vegas as a platform to introduce the German automaker’s new F 015 Luxury in Motion research vehicle. This futuristic model takes the concept of self-driving cars to a whole new level – a fact made clear in the promotional video they released, which plays like an excerpt from an upcoming science fiction movie. They aren’t kidding. Thanks to the F 015’s four rotating lounge chairs, a driver can turn his or her back on the road and enjoy some quality time with their passengers. In the not-too-distant-future, you may be able to hold a business meeting in your car, or enjoy a meal of rehydrated pizza with your family while you marvel over the fact that the Cubs just swept Miami to win the World Series. 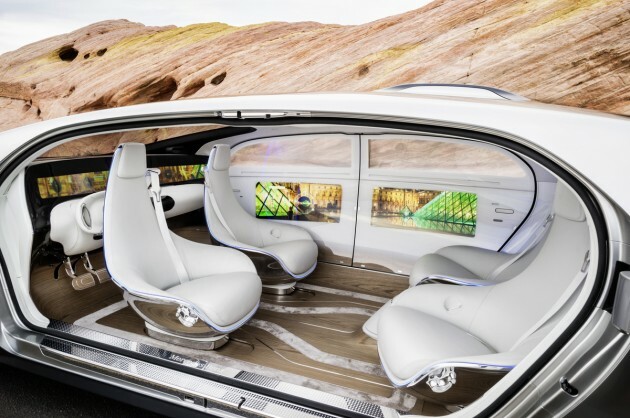 Or, perhaps car customers will use the F 015’s lounge space to plot their next attack against their robotic ASIMO overlords – either way, the point is that you can do whatever you want while you’re driving, because you won’t actually be driving. So you also get to control things with a wave of your hands, which sounds pretty cool. While a car in which you could literally never have to touch the steering wheel probably sounds like hell for true automotive enthusiasts, the incredible convenience of such a luxury vehicle would be a paradise to those who drive for the simple purpose of commuting from point A to point B.